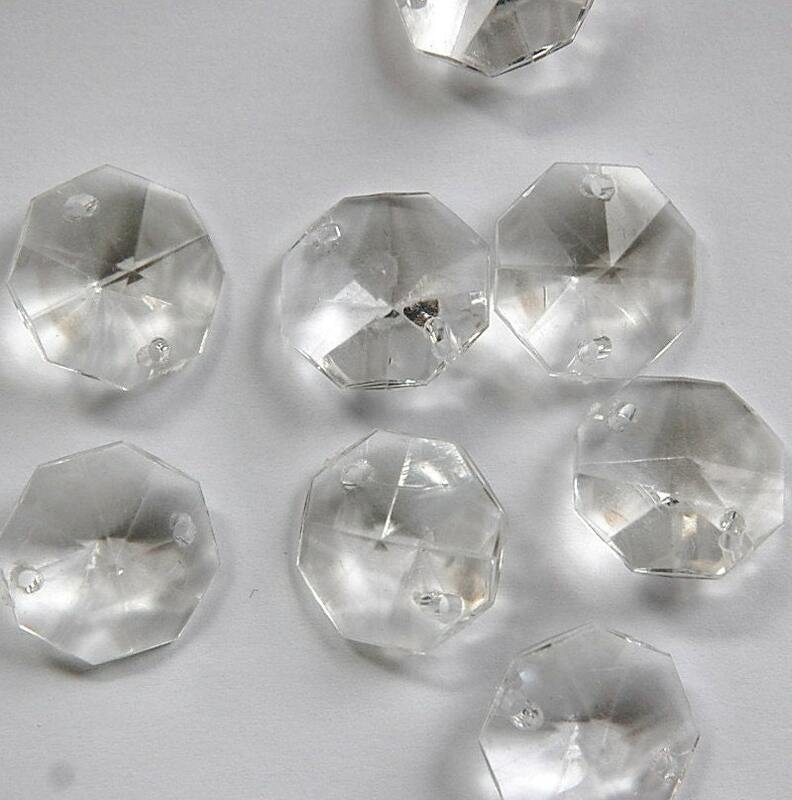 These are clear plastic beads or charms. 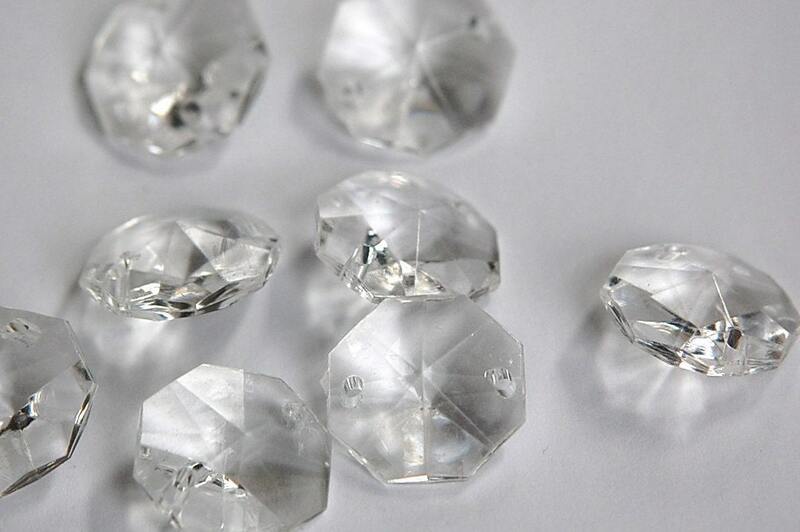 They have an eight sided shape with all over faceted. There are 2 beading holes. These measure 20mm. You will receive 8 pieces.